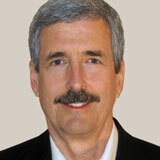 Joe White is CEO of CostDown Consulting. It is likely that a driver shortage is coming, due to pressures such as an aging driver workforce, the Department of Transportation’s (DOT) Compliance Safety Accountability program, and the anticipated DOT-mandated reduction in driving hours. Yet many supply chain professionals have yet to grasp how a driver shortage impacts capacity. Simply put, a driver shortage creates high driver turnover rates, which have a more negative impact on trucking capacity than the shortage itself. Here is a scenario that illustrates the impact of driver turnover on capacity: At 100-percent turnover, XYZ Trucking, with a fleet of 150 drivers, has to hire 150 drivers each year. It takes time to recruit, interview, hire, and train new drivers. Once they start working, it takes even more time for drivers to become productive because of the learning curve associated with new routes, customer requirements, and company policy.